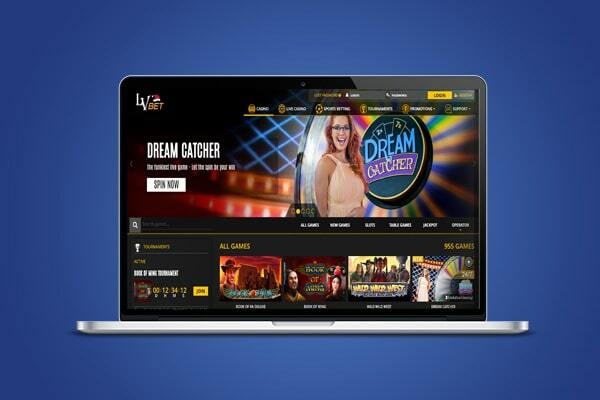 LV Bet is a relative new brand within the international iGaming industry. The brand was established in 2016 and is owned by Fairload Ltd. Casinos. LV Bet Casino is based on Malta and owns multiple casino licenses. In total LV Bet holds six MGA Gaming Licensed for NetEnt, ThunderKick, Greentube, Microgaming, Sportsbook and Evolution Gaming ..
LV Bet is a relative new brand within the international iGaming industry. The brand was established in 2016 and is owned by Fairload Ltd. Casinos. LV Bet Casino is based on Malta and owns multiple casino licenses. In total LV Bet holds six MGA Gaming Licensed for NetEnt, ThunderKick, Greentube, Microgaming, Sportsbook and Evolution Gaming entertainment. The LV Bet website is available in multiple languages including Polish, German, Russian, Swedish and Chinese. LV Bet players have access to a wide portfolio of exciting casino games. The instant-play casino offers games by top providers including NetEnt, Merkur, Wazdan, Microgaming, Novomatic, Bally, Greentube and Thunderkick. New customers can now claim up to €1000,- in bonus money and up to 1000 Free Spins by making four consecutive deposits. Sign up now and try out LV Bet with a €5,- registration bonus. Excited to start playing? Then register your free account on this page! LV Bet Casino is home to an impressive selection of video slots and casino games. After sign up you will be able to play top quality games without downloading any software. Simply register your account and get access to the best games by suppliers including NetEnt, Gamomat, Microgaming, Merkur, Bally, Greentube, Novomatic, UC8, Thunderkick, BF Games and Wazdan. Some of the most iconic video slots in the casino are Starburst, the Book of Ra (Deluxe) and Lucky Lady’s Charm. But there is a lot more. Currently you can expect 950+ games in LV Bet Casino. Because of this we are confident that there will be a lot of games you like. Besides Video Slots LV Bet also offers an interesting selection of Jackpot Slots. These Jackpot Slots offer prizes up to millions of euros. Some of my favourites are Divine Fortune by NetEnt and the Book of Ra Jackpot Edition by Novomatic. Other very popular titles are Mega Moolah (Microgaming), Mega Joker and Super Lucky Frog. Ready to hit a massive win? Then make sure you try your luck on one or more of these titles. If you enjoy playing table games then LV Bet wont let you down too. At the moment LV Bet offers 85+ table games including Blackjack, Joker Wild, Jacks or Better and Baccarat. Other popular variety games are Sic Bo, Deuces Wild and different forms of Poker. Open the gaming lobby to have a full overview of all the available games. Click ‘’Table Games’’ in the second menu to have a look at the available table games only. You can also filter by operator if you like. Top quality live betting games for mobile, tablet and desktop. Evolution owns two state-of-the-art Live Casino production studios in Latvia and Malta. Streams are available 24 hours a day. 7 Days a week! Many different games including Progressive Jackpots and exclusive games. Interact with professional dealers and enjoy HD quality video streams. Convinced you and ready to try out the Live Casino at LV Bet? Register now and collect up to €1000,- in bonus money and 1000 Free Spins. Sign up your free account on this page! If you want you can also enjoy some sports betting action at LV Bet. LV Bet offers thousands of sports event to bet on. Some of the most popular sports are Football, Basketball, Ice Hockey, Baseball and Tennis. But besides these sports there are 35+ other sports you can bet on. From MMA to Racing, And from Golf to Rugby. LV Bet offers it all! You can place bets from your phone, tablet or desktop and it is possible to combine bets. In this way you can easily create bets with high odds. In the Sportsbook you can place bets on live sports or events that still need to begin. You will also be able to bet on virtual sports. Open the sports betting section on the LV Bet website for a full overview of the betting possibilities. Open the Live Calendar for an overview of upcoming events. At LV Bet you can claim some generous welcome bonuses. And as a loyal customer you can claim way more rewards. LV Bet offers daily rewards, reload bonuses and tournaments all the time. And while playing you will also collect LV Points which you can convert into playing money. And with the LV Bet Wheel you will win guaranteed prizes simply by playing in the casino. Below we will highlight some of the most important bonuses. If you like you can try out LV Bet with a €5,- registration bonus. Simply open your free account today and send a email to bonus@lvbet.com using the subject line ‘’€5,-‘’. Once you did this LV Bet will credit your casino account with a €5,- bonus within 24 hours. You can spend your registration bonus on games of all providers including Greentube and Bally Wulf games. In this way you can try out the casino without taking any risk. After wagering your €5,- bonus money a total of 50 times you can cash out your remaining balance. Want to know more about this bonus or register right away? Then visit the LV Bet website by clicking this link! First Deposit; Make a first deposit and collect a 100% deposit bonus up to €200,-. LV Bet will also credit 200 Free Spins on Starburst to your account. Second Deposit; Collect a 50% money bonus up to €200,-. You will also receive 200 Free Spins on Aloha! Cluster Pays. Third Deposit; Make a deposit and collect a 25% money bonus up to €500,-. Besides this LV Bet will throw in an amazing amount of 500 Free Spins on Joker Pro. Fourth Deposit; Collect a 200% money bonus up to €100,- and 100 Free Spins on Wild Wild West; The Great Train Heist. All deposit bonuses will be added to your account straight away. A first deposit (100% bonus) of €50,- will give you a €100,- total balance. A second deposit of €200,- will award you with a €100,- money bonus. A third deposit of €100,- will award you with €25,- bonus and a total balance of €125,-. Make a €50,- fourth deposit to collect the maximum bonus of €100,-. You can trigger each of the bonuses by making a €10,- minimum deposit. Make a first deposit within 90 days of registration to collect your bonuses. You can skip one of the bonuses and collect the following bonus by making another deposit. Please make sure you don’t bet more than the maximum bet of €5,- per spin. All Free Spins expire after 5 days. Check out the bonus terms for more information regarding the conditions and rules. Deposit €10,- to collect 10 Free Spins. Deposit €50,- and collect 100 Free Spins. Deposit €100,- and claim 300 Free Spins. Claim the maximum 2000 Free Spins by deposit €500,-. This bonus is available once each week. The spins will be in your account the next day at 17:00 CET. You can play your free rounds on many of the available BF games including Wild Jack, Energy Fruits, Ancient Secrets, Star Fortune and more. Check out the LV Bet website for a full list of tiles. While playing at LV Bet Casino you will be able to collect rewards and reload bonuses on a daily basis. Simply open the promotions tab to see which rewards are currently active. Sometimes LV Bet will also send special promotions to your inbox. With these promotion you can collect extra deposit bonuses, free spins and reload bonuses by making a deposit. While playing you can collect LV Points just by placing bets. The more money you bet the more points you will receive. Based on a percentage systems each game you play will award you a certain amount of LV Points. After you collected some points you an convert them into money. Every 100 LV points will convert into €1,-. All cash you will convert will be instantly available in your LV Wallet. Check out the promotions section on the LV Bet website for more information regarding LV Points and conversion rates. 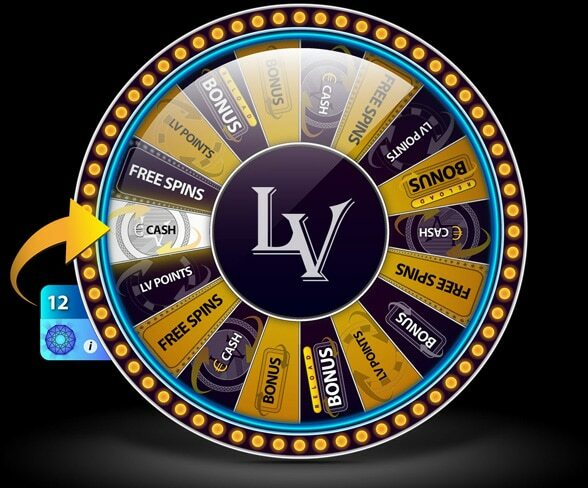 LV Bet uses the LV Wheel to reward loyal players. The LV Wheel is a kind of Wheel of Fortune which awards players with guaranteed prizes. How it works? Very simple! Simply open a slot in the casino to activate the LV Wheel. After that you will need to spin to add prizes to the LV Wheel. After each time you unlock a new level you will able to spin the LV Wheel. And the higher level you get, the better the prizes will be. All rewards will be added to your account instantly. Play now and spin the wheel to win real money, bonus, LV Points, Free Spins or Reload Bonuses. With 30 levels, there is up to €300,000 in bonus money, €3000 in cash, 150,000 LV Points or 3000 Free Spins to be won. Good luck and have fun while spinning the Wheel. At LV Bet you will need to wager your initial deposit and bonus a total of 30 times. For example; When you make a €50,- first deposit, you will receive €50,- bonus money. In this case you will need to wager a total of €50,- + €50,- x 30 = €3000,-. After wagering this amount you will be able to cash out your remaining balance. Only for the 200% deposit bonus there is a 35 times wagering requirement. Please make sure you reach this requirement within 15 days. Otherwise you bonus will be forfeited. All winnings during Free Spins will also be subject to a 35 times wagering requirement. Please note that not all games contribute to the wagering requirement. Mobile players are also more than welcome at LV Bet Casino. The whole LV Bet website is fully optimized for mobile use. It doesn’t matter if you log in with your smartphone or tablet, iOS or Android, you will always enjoy a top quality gambling experience. Both the Casino, Live Casino and Sportsbook are available for mobile players. Because of this you can enjoy the excitement of gambling at any moment you want! Simply open the regular URL and you will see the mobile version of the casino. After logging in you will be able to deposit and play as usual. Depending on the device you are using it is possible you will be missing some game which are not optimized for mobile use. Visit LV Bet with your mobile device to see which games are available at the moment. Ready to start playing at LV Bet? Then make your first deposit now! Click ‘’Deposit’’ in the main menu to start. After you did that, choose one of the available payment methods. LV Bet offers multiple regional and international payment methods including Credit / Debit Cards, iDeal, Skrill, Neteller, Mastercard, VISA and PaySafeCard. At LV Bet Casino you can deposit from as low as €10,- per transaction. Most payment methods have a maximum of €5000,- per transaction. At LV Bet you won’t have to pay any fees to make a deposit. And since the whole website is protected with a state-of-the-art SSL encryption your payments will always be safe and secure. Want to know more? Then visit the cashier on the website of LV Bet! Before you can cash out you will need to verify your identity. You can do this by sending in some documents including your ID and Proof of Address. Depending on which payment method you use the casino can ask for a screenshot of your e-Wallet, a bank statement of a credit card picture. Your documents are required to cash out. Please note that your document will always be safe and secure. If you have any questions regarding verifying your account, please contact the LV Bet customer support department. At LV Bet they believe it is important to deliver a fun and safe environment. To provide you with a unforgettable gaming experience LV Bet offers top quality customer support. All customer support agents are very well trained and will handle every case individual according your needs. So if you have a question or problem, please don’t hesitate to contact the support team. For your convenience LV Bet has send a multiple forms of support. Chat; At LV Bet you can enter a chat with a support agent to solve your problem or question. Email; Send your email to support@lvbet.com or use the contact form on the support page. Phone; Call +356 77 041 568 to speak with a support agent directly (local charges). 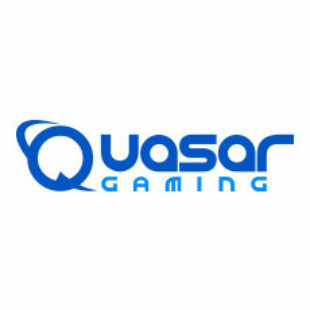 LV Bet also offers an extensive F.A.Q. section with loads of questions and answers. The customer support department is available every day. 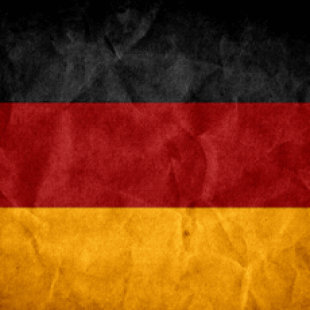 Between 9:00 to 22:00 (GMT+1) LV Bet has English, German and Polish speaker support agents available. Russians speaking customer support agents are available from Monday to Friday from 9:00 to 17:00 (GMT+1). Check out the support page for more information regarding this subject. During this LV Bet Review we have checked out the most important parts of this relative new casino. And we must day we are very impressed by LV Bet. Below we will give you a short summary of our findings. Register you free account today to test out this casino for yourselves! Games; The game collection of LV Bet is very impressive. The Casino offers a great collection of 950 + games from top quality providers. Besides that the Evolution Gaming Live Casino and the Sportsbook are also a good addition to LV Bet Casino. Bonuses; The LV Bet Welcome Package is very generous in our opinion. With €1000,- in bonus money and 1000 Free Spins there is no short of bonuses. Besides that the loyalty program and LV Wheel are unique and fun ways to reward loyal players. Banking; At LV Bet all payments are free from fees. Which is great! Besides that they offer a nice collection of payment methods. Support; The setup of the LV Bet customer support department looks very solid. It is great that people can chat, email and call. Besides that we think it is good that LV Bet offers agents which speak Polish, German and Russian. All with all we think LV Bet is a very interesting casino for all casino players. It offers a great game portfolio, a live casino and a sports betting section. Besides that I offers a good loyalty structure and nice bonuses. 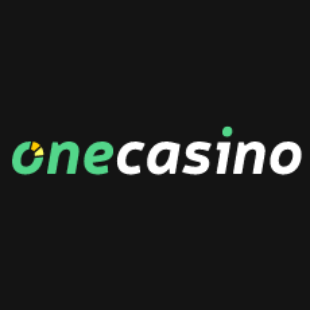 Ready to try out this cool (mobile) casino? Then open your free account today!  Sign up your free account and try out LV Bet with €5,- free bonus money. Make four consecutive deposits and collect up to 1000 Free Spins + €1000,- bonus money. Great portfolio of casino games including Bally Wulf and Greentube. Collect €5,- Free on Registration. Multiple languages available including Chinese and Russian. Live Casino available on mobile, desktop and tablet. Impressive €1000,- + 1000 Free Spins Welcome Package. Thousands of monthly sports betting events available. Secure payments without any fees or extra costs. Win hundreds of Free Spins during exciting tournaments. Loyalty points available which you can convert into playing money. Win prizes by spinning the unique LV Bet Wheel! Players from Belgium, Belgium, Denmark, Estonia, France, Hong Kong, Hungary, Iran, Iraq, Israel, Romania, Spain, Turkey, United States, Denmark, Estonia, France, Hong Kong, Hungary, Iran, Iraq, Israel and Poland are restricted from playing at LV Bet. Some providers missing (WMS, Big Time Gaming, Red Tiger Gaming). LV Bet is operated by Fairload Ltd. which is registered under the laws of the European Union member state of Malta. LV Bet is regulated and licensed by the MGA, UK Gambling Commission and the Curacao eGaming Commission. 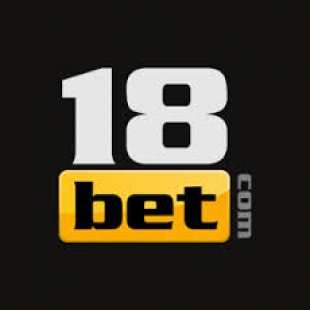 The LV Bet website is available in English, Polish, German, Russian, Swedish, Serbian and Chinese.